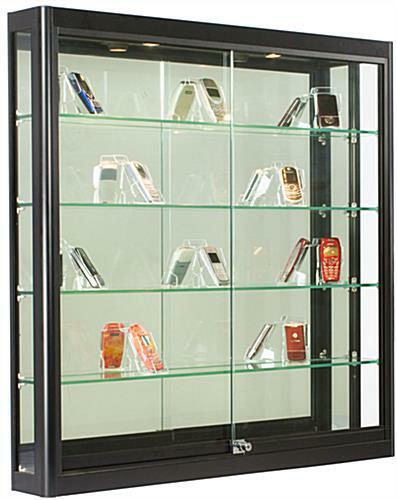 This wall mount illuminated cabinet is perfect for high traffic public areas as it allows 360%deg; visibility while taking up minimal space. 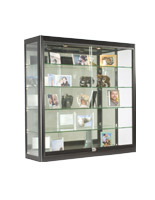 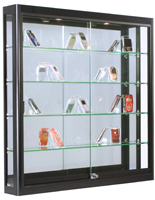 Each 39" square display case is 6" deep and comes with everything needed for secure mounting on vertical surfaces. 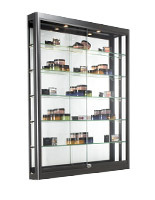 This Z-bar mount illuminated cabinet features tempered glass construction with black finish aluminum framing. 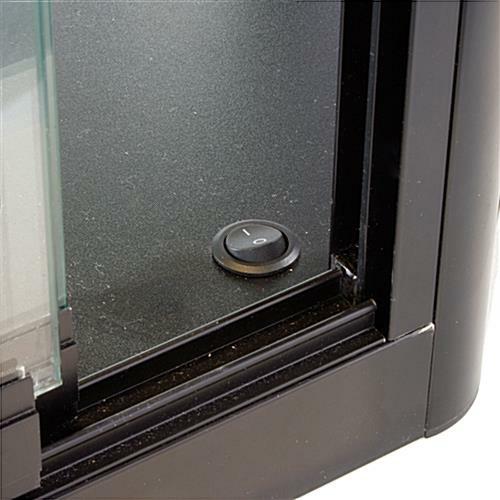 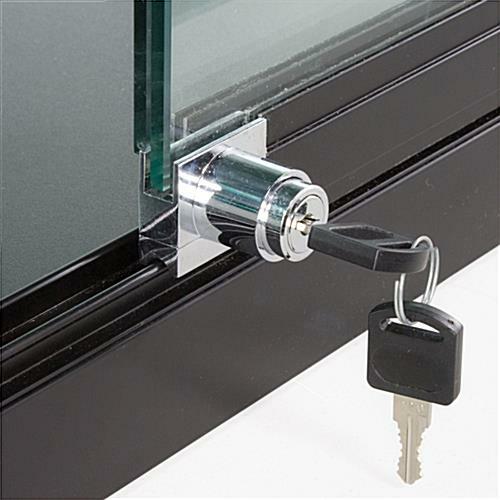 The slide-open access doors include a plunger lock to keep contents secure in high traffic retail stores, commercial business environments, concourses or waiting areas. 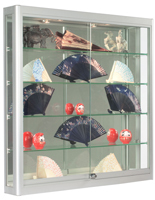 This 4-shelf illuminated cabinet's sturdy design offers high visibility for sales merchandise, trophy and award displays, samples, and collectibles or antiques. 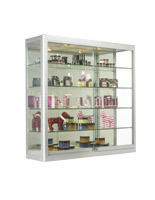 This illuminated cabinet with adjustable height shelving has two built in top lights that provide brilliant, eye catching lighting for optimal viewing of contents. 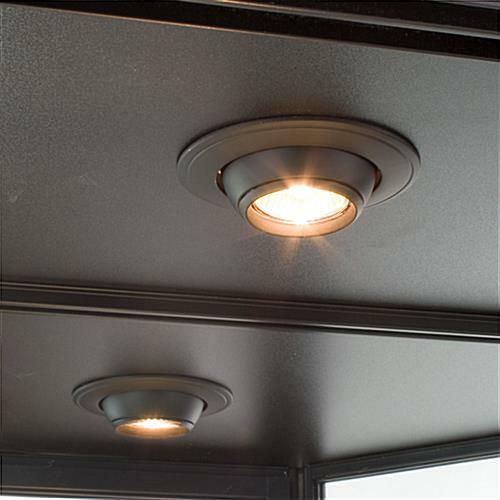 The aluminum framing's neutral black finish will complement any environment or decor scheme. 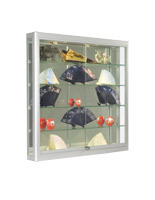 This locking cabinet with built-in top spotlights is an ideal retail, school, commercial business, or facility display fixture.